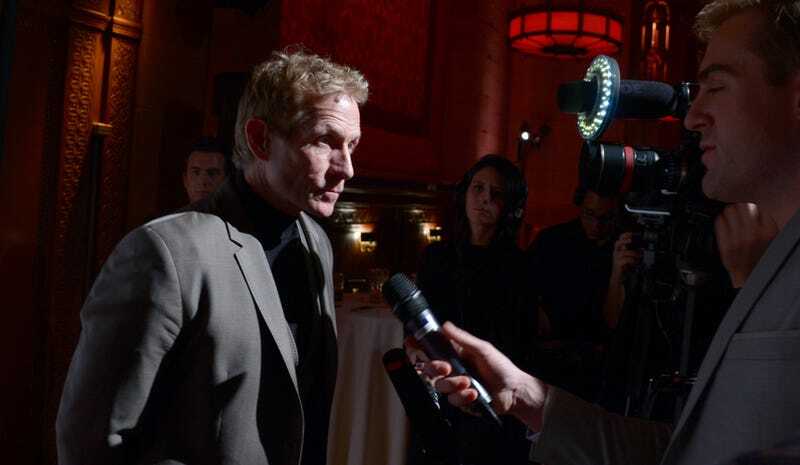 Skip Bayless’s and Shannon Sharpe’s two-and-a-half-hour sports shouting show, Second Take, has apparently put a dent in First Take’s ratings, perhaps thanks to all those loyal Skipheads out there who just want to see their man yell. But what’s to do when Bayless and Sharpe agree on a topic and have nothing to yell about? Again, this show is two and a half damn hours—they’ll yell anyway. Maybe a hard left turn toward the remote control. But hey, Jamie Horowitz’s “embrace debate” style of programming, perfected at ESPN then limply imitated at Fox Sports, simply doesn’t work—certainly can’t fill entire afternoons of programming—if the TV men stick to arguing what they actually believe. This is acting as much as it is punditry. We know this. The bluntest example of it was Ron Jaworski practicing his lines for how to “sell” his ostensible excitement about Tyler Palko. Bayless, the hardest working man in showbiz, doesn’t need to resort to lies on his show. Instead, he knows positions can be tortured until they give up their arguments; concord is fine-grained enough to produce conflict, if you just try hard enough and long enough at disingenuity. Everything is up for debate, it merely takes a little willful misunderstanding.